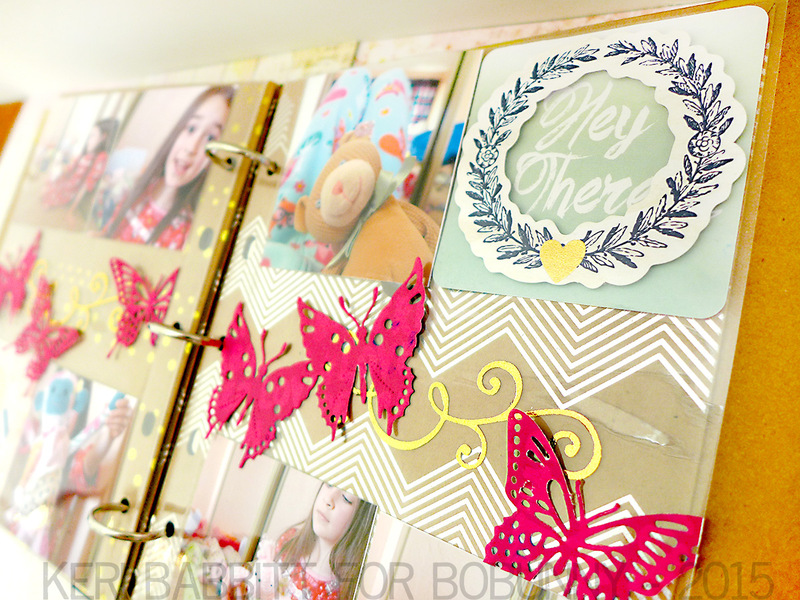 The BoBunny Blog: Magnificent Metallic Binders! Happy Monday friends! With my love of all things gold and polka-dot, it's a no-brainer that I am in LOVE with this new metallic Misc Me binder from BoBunny. The new metallic binder and envelope collection has gorgeous metallic embossing, and elegant new details like canvas binding, a nameplate on the spine, and gilded corner brackets on the cover. Yum! 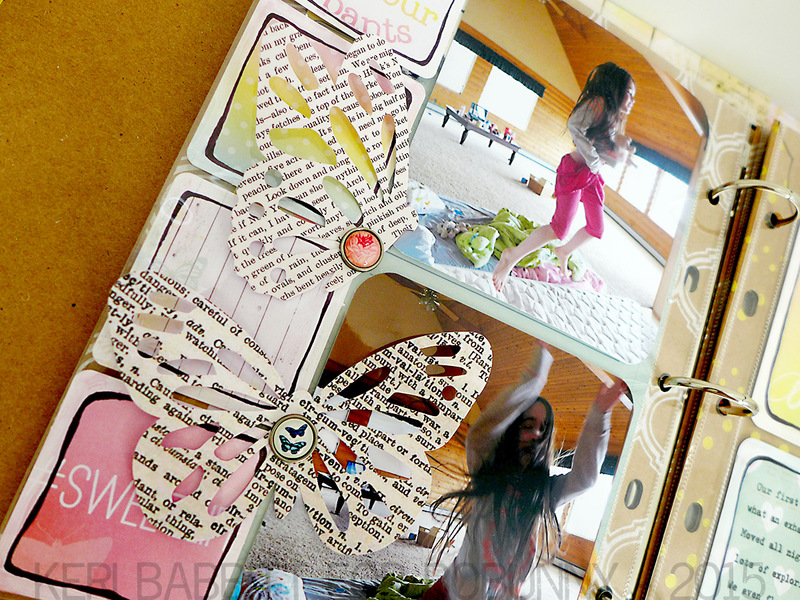 I decked my binder cover out with new foil rubons, film stickers, chipboard, and Pearlescent-masked butterflies. 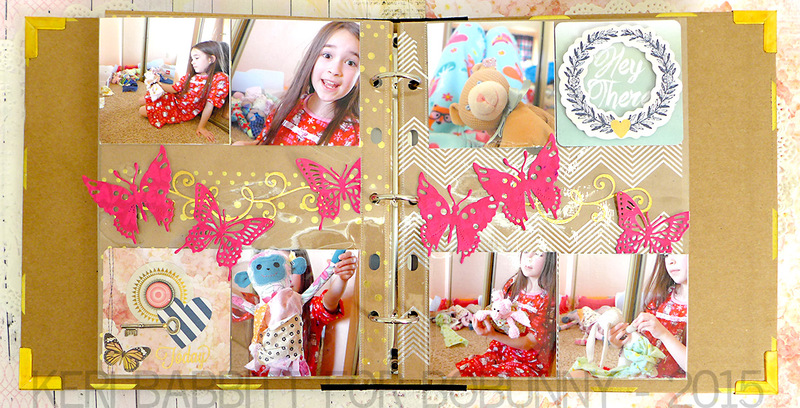 Since this binder documents our new home renovation adventure, the envelopes are the perfect place for before-and-after lists, photos, and even ephemera like pieces of the old-fashioned wallpaper and a "vintage" pokemon card the kids found in the stairwell. The next new product I am over-the-moon about is the new Misc Me pocket squares. The variety pack comes with three different sizes of squares, and they are double-sided and adorable for slipping right into the new page protectors. Easy and so cute! 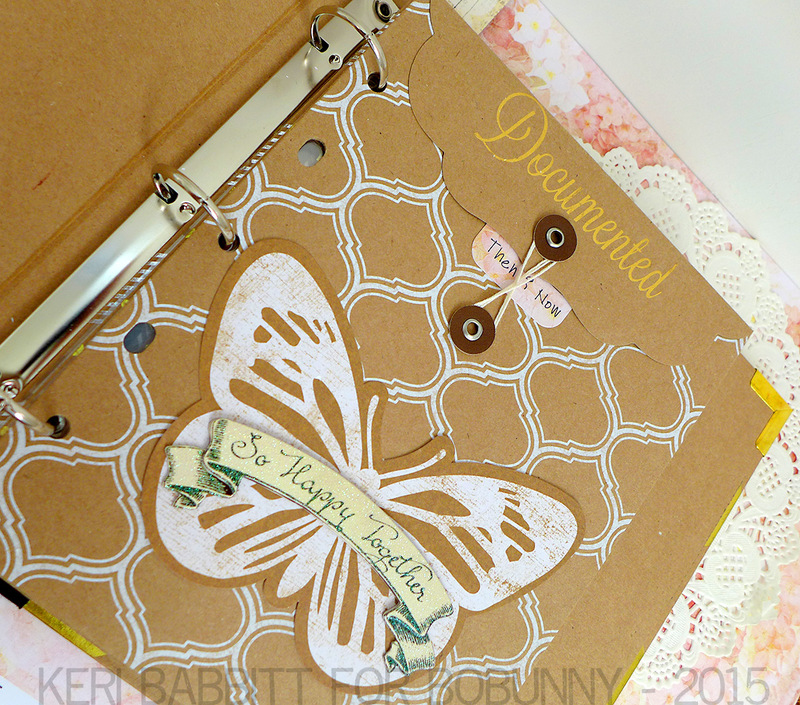 Finally, be still my heart, BoBunny now offers gorgeous, intricate dies - just look at the detail below on the fuchsia butterflies! Love at first sight. 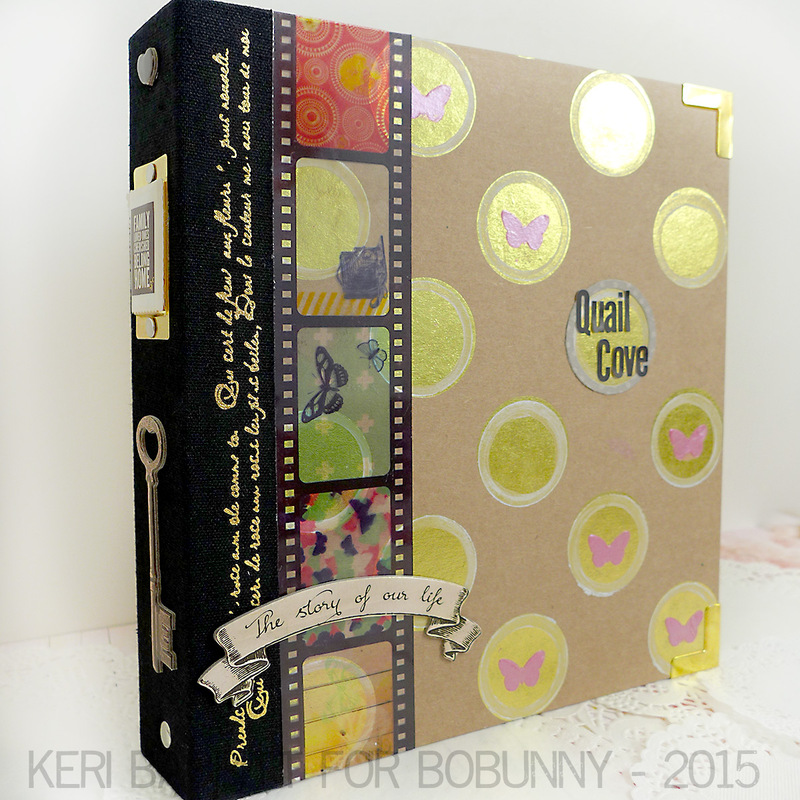 Paired with the gold foil rubons, they add such delicate dimension and texture to my project. 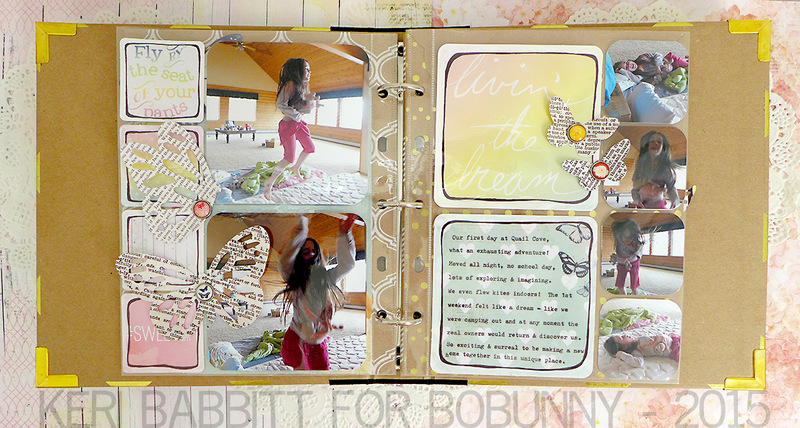 I cannot wait to continue creating with all the new products from BoBunny - oh, the possibilities! Oh my!! I have something in my eye! I think it is a tear because I am so happy to see these gorgeous products in action! Must get my hands on all of them! TFS!